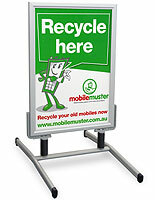 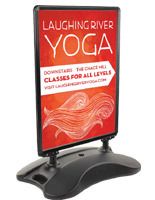 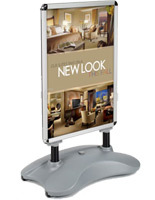 Need an outdoor advertising display at a reduced price? 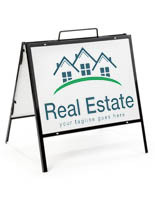 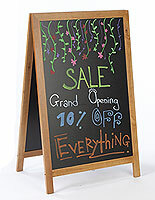 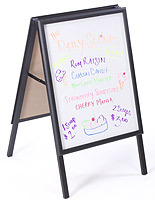 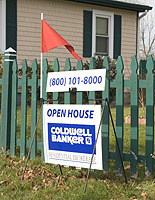 These cheap A-frame signs are ideal for featuring graphics on the sidewalk in a high visibility frame. 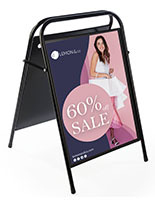 Our selection of portable signage is ideal for retail stores where they can inform passersby about offers and new merchandise. 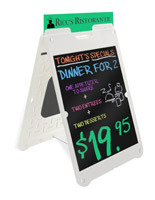 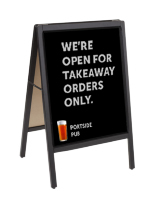 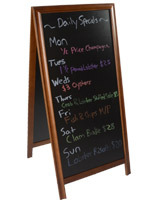 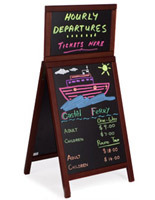 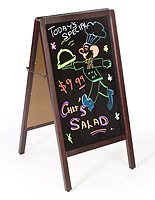 The cheap A-frame signs are also an excellent choice for restaurants and bars, bringing in customers with event information, specials menus and drink pricing. 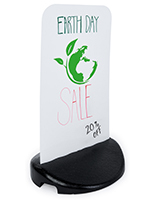 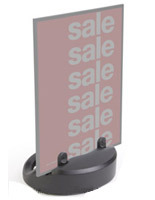 In addition, service organizations, real estate agencies, and a variety of other businesses can use these versatile signage stands to attract clients. 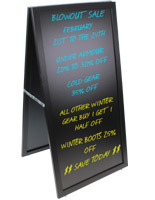 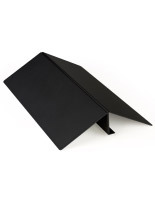 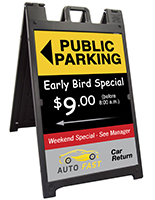 Offered in a number of styles, these cheap A-frame signs will meet any company's outdoor advertising needs. 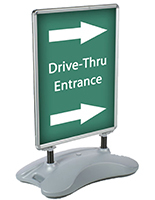 Most of our outdoor signage features a double sided design, advertising to both directions of traffic. 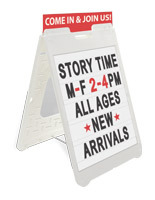 In addition, the cheap A-frame signs come with a clear plastic lens that protects prints from damage. 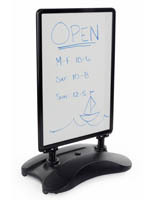 Some models have a wind-resistant design with springs for swinging in the breeze and fillable weighted base. 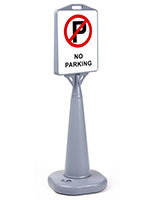 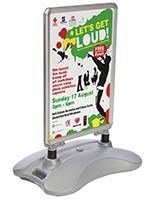 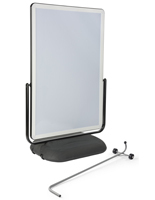 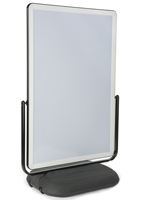 Made of strong metal and plastic for outdoor use, our selection of displays is great for lasting long. 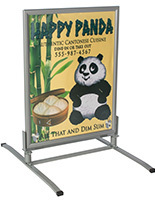 Additionally, some units have additional areas for advertising like headers and side panels. 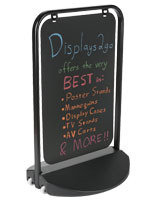 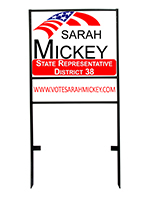 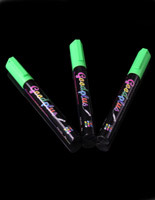 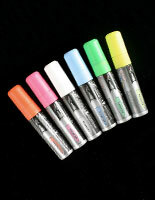 Buy on SidewalkSigns2go.com for wholesale pricing and quick shipping.